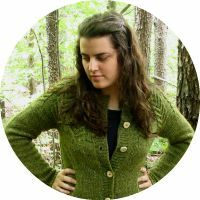 Wool and Wheel: Meet Me In St. Louis. 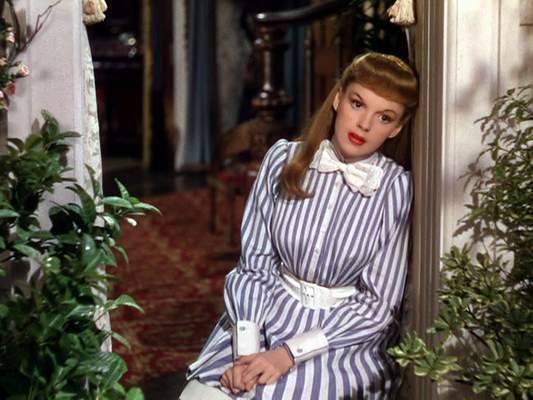 "Meet Me In St. Louis" is probably one of my favorite musicals now, but the first time I watched it, I actually didn't like it very much. It took a couple viewings to grow on me. This is sort of an unusual movie. And it is very colorful. It's one of those Technicolor movies that is almost tacky in its brightness. "Meet Me In St. Louis" can be considered a Christmas movie, but you can justify watching it any time during the year. That's because it starts in the summer and works its way through to spring/summer again. So it has scenes for every season, including a fairly long Halloween part (which is pretty creepy and involves kids having a bonfire unsupervised and throwing flour in people's faces to "kill" them and keep the banshees away? Yes, really) and a fairly long Christmas part. The Christmas part is really my favorite. I love the Christmas ball scene. And a little later, the lovely Judy Garland sings "Have Yourself a Merry Little Christmas." A high point in this movie is definitely Margaret O'Brien. She plays the youngest Smith sister, Tootie, who is a spoiled, rather morbid child. She plays a dangerous joke and often talks about death (one of her dolls had four fatal diseases and had to be buried in the backyard). I guess she's not what you expect a little girl in the early 1900s to be like. 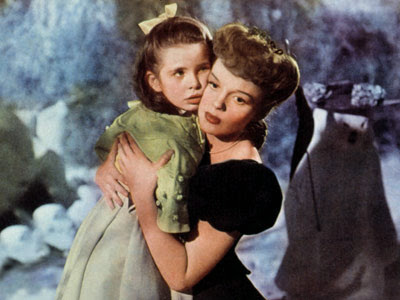 :) But Margaret O'Brien is right up there with Shirley Temple, as far a child actresses go. She has such a dignified way of speaking! Did I even mention what this movie is about? It revolves around the everyday life of a family living in St. Louis in the early 1900s, when the World's Fair is getting ready to come to the city. Then the family finds out that their father's job is being transferred to New York, and they hate the idea of leaving their home. "Meet Me In St. Louis" also has a quirky sense of humor about it. You really have to listen to some of the lines to catch it. The movie does include the three eldest sibling's relationships/romance, but it's not the overwhelming focus of the film. There's one scene that always makes me laugh, when one of the girls' "boyfriends" bursts into the living room and says, "Rose Smith, we can't go on like this any longer. I've positively decided we're going to get married at the earliest opportunity and I don't want to hear any arguments. That's final. I love you. 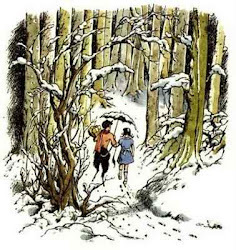 Merry Christmas," and then stomps out again. All of the songs in this musical are really good. It's rare for me to like every song in a movie. There's "The Boy Next Door," which is a sweet song (even if you have to suspend your disbelief that she falls in love with him at first sight and decides she's going to marry him before she even meets him). And there's "The Trolley Song," which, despite the uncreative title, is a very cute and catchy song. It gets stuck in my head a lot. So..."Meet Me In St. Louis" is a good, clean classic movie to watch during the holiday season. 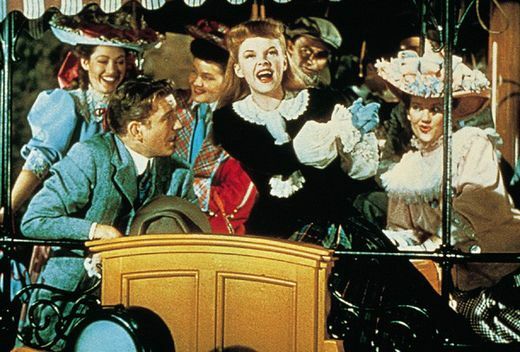 And if you're a Judy Garland fan, it's definitely a must-see. Vincent Minnelli was the director, and he and Judy met on the set and later married. I know I've said this before, but I love this movie! It's a family favorite! "She has 4 fatal diseases" - "And it only takes 1" Oh, I love it...music, costumes, scenery, story, & all! =) Yes, even the Halloween scene. I'm a fan of pretty much any MGM musical from the '40s and '50s, especially...such a golden age for film! But like you this one took a while to grow on me. It's one of my mom's all-time favorites (if not her favorite!). But when I was a kid the Halloween scene always creeped me out!!! It took a while for me to grow past it, LOL! This movie was on TCM last weekend. Ive never seen it all the way through. Im not even a big fan of musicals. But who is that woman in the purple/blue outfit sitting to Ms Garland's left on the trolley? Her smile put me into a trance. Can you tell me, please?